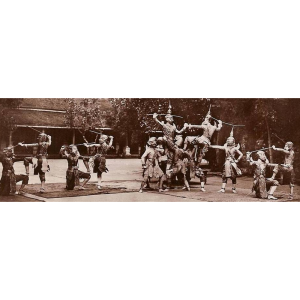 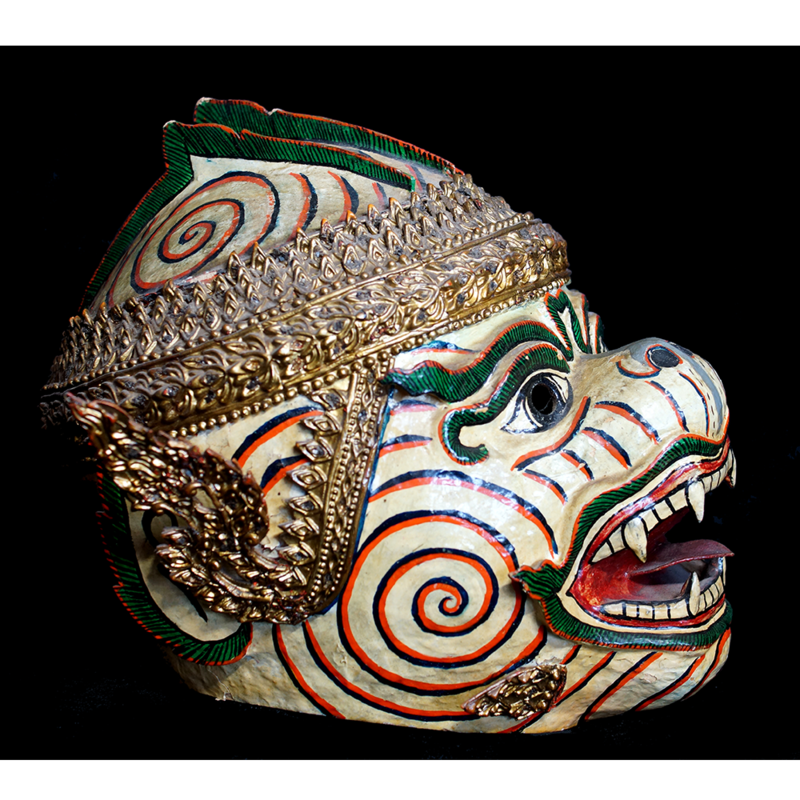 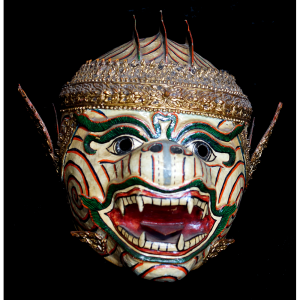 Reamker is the Cambodian adaptation of the Hindu epic from India, the Ramayana. 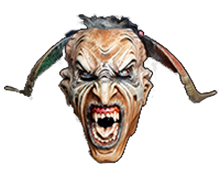 It is performed for public entertainment and features paper maché helmet masks on most male characters. This specific character is Hanuman, the monkey god who plays the central role in assisting Rama (sometimes rendered “Phreah Ream” in Khmer), the hero of the epic, to recover his wife, who was abducted by the demon king Ravana (Krong Reap in Khmer).